Berlin, May 2017: On May 11-12, 2017, Atotech was joined by representatives and influential decision makers of the automotive and fastener industry for the Corrosion Protection Conference 2017. More than 160 guests from 15 European countries followed the invitation of Atotech to Milan in Italy and learned about latest breakthroughs and innovations in electrolytic corrosion protection and zinc flake technologies. A special focus during this year’s event was put on fastener technologies. Renowned guest speakers shared their insights into state-of-the-art corrosion protection technologies, current and upcoming market requirements as well as technology trends. Gabriele Ciaccio, Manager Surface Coating at Fiat Chrysler Automobiles, spoke about technical and functional requirements for corrosion testing capabilities defined by the multinational automobile manufacturer; a broad overview that impacted the invited participants and Atotech staff likewise. Sergio Pirovano, President of the Association of Italian Screws Makers (UPIVEB), shared fascinating insights into fastener trends, future challenges and opportunities for fastener manufacturers. 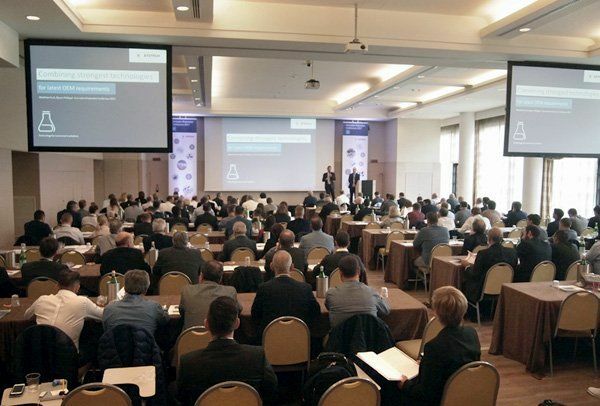 “Atotech’s Corrosion Protection Conference is a European meeting point, bringing together the best experts of the surface finishing industry,” says Romeo Carlo Taddei, Vice President Europe & Americas at Atotech. “We are fortunate to have high-profile guest speakers supporting our event and we will take their inspiring input to continue developing world-class corrosion protection processes”, Mr Taddei concludes the event. Atotech is one of the world’s leading manufacturers of specialty chemicals and equipment for the printed circuit board, IC-substrate and semiconductor industries, as well as for the decorative and functional surface finishing industries. Atotech has annual sales of USD1.1 billion. The company is fully committed to sustainability – we develop technologies to minimize waste and to reduce environmental impact.